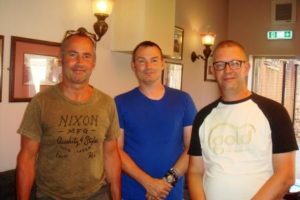 wythall radio club | Exam successes at Wythall Radio Club! 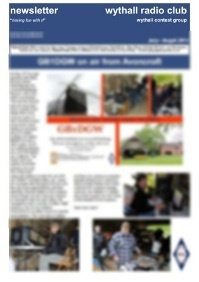 Exam successes at Wythall Radio Club! Nine happy students passed their Foundation exam at Wythall Radio Club. Congratulations to Terry, Tim, Marcin, Mo, David, Darren, Andy S and Andy W, and Paul! We hope to hear them on the air soon with their new M6 call signs. 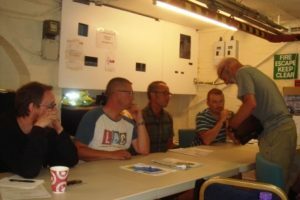 The photos show them completing their practical assessments, and three of the successful candidates – Paul, Darren and Andy. 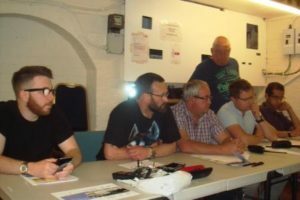 We expect that some will want to progress to the Intermediate course offered by Wythall Radio Club’s training team. And some of the graduates from this course have recently signed-up to study for their Advanced amateur radio licence! Perhaps there are more aspiring radio amateurs out there who would like to study our on-line courses? Further details are on the Wythall Radio Club web site or visit the Club which meets every Tuesday evening from 8pm at Wythall House, Silver Street, Wythall! ← Wythall Fun Run almost here!